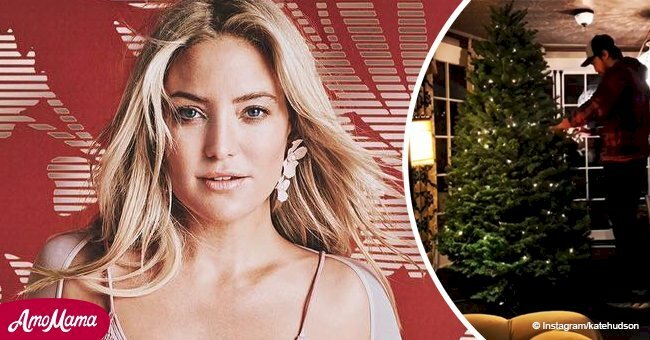 The 39-year-old actress Kate Hudson shared the most charming photograph of herself and her 2-month-old baby on Instagram recently. In the sweet snap, Hudson is seen holding on tight to Rani Rose Hudson Fujikawa while smiling from ear to ear. The star, who wore a sheer blouse, sweetly gazes into little Rani's eyes. Follow us on our Twitter account, @amomama_usa, to learn more. Hudson is the daughter of Academy Award-winning actress Goldie Hawn and her former husband, Bill Hudson. The "How to Lose a Guy in 10 Days" actress simply posted the photo with a heart emoticon. On October 2, Hudson and her boyfriend Danny Fujikawa welcomed their little girl into the world together. Hudson is also mom to two sons - Ryder, 14, and Bingham, 7 - from previous relationships. 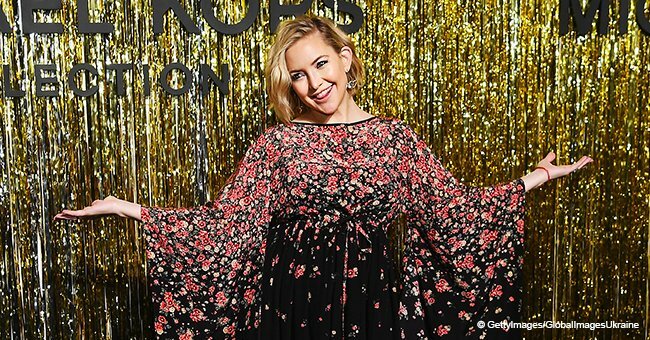 In an interview with the Huffington Post, the award-winning actress said that she couldn’t be more joyful when announcing the birth of her daughter. After giving birth, she took to social media to say that "everyone is doing well and happy as can be." “Our family thanks you for all the love and blessings that have been sent our way and we send ours right back,” she added. 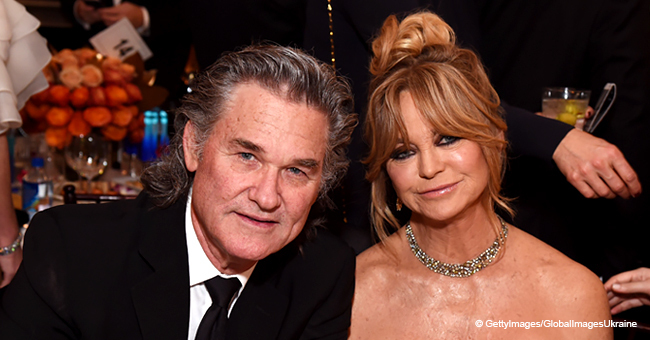 Hudson's stepfather Kurt Russel is delighted to have another grandchild. The 67-year-old actor said that he is excited to spend Christmas with little Rani. The “Death Proof” actor also said that he noticed Hudson acting differently with her daughter than her sons. “She’s a little different with the little girl, I think at this stage, than I remember her being with her boys [at this age],” said Russel. Hudson, who rose to prominence for her performance in the 2000 film "Almost Famous," is the daughter of Academy Award-winning actress Goldie Hawn and her former husband, Bill Hudson. Hawn and Russel have been together since 1983.